Texas down payment assistance programs are available for teachers, lawyers, doctors, first time home buyers and low-income earners. The programs enhance access to down payment assistance grants, mortgage credit facilities and fixed-rate mortgage financing. Lenders who are available all over the region provide the programs. The programs also help to support families to overcome the menace of financial hardships. In most cases, financial hardships among people forces people to live in homes that are not conducive as far as their needs are concerned. Such people are therefore advised to seek services from an agency that provide down payment assistance programs in Texas. Texas down payment assistance programs are 30-year mortgage loans rates that are fixed. These loans are eligible for home buyers across the region. The interest rates provided are relatively low as compared to other programs available. In addition to low interest rates, the programs also provide grants and at the same time closing costs. With down payment assistance programs in place, people in Texas are able to access approved counselling services from agencies that deal with housing. These agencies provide their services for free and therefore becoming advantageous to those people who are faced with financial constraints. Nevertheless, the government should monitor the work of some of the agencies since there are reports of financial exploitation. This is because, down payment assistance programs are meant to be offered free of charge. Homes for Heroes This Texas down payment program is designed specifically for allied health faculty member, corrections officer, county jailer, emergency medical services personnel, firefighter, juvenile corrections officer, nursing faculty member, peace officer, professional educator, public security officer and veterans. This is a 30 year, fixed interest mortgage program with Texas down payment assistance of 3 percent, 4 percent or 5 percent that does not need to be repaid. There is no first time buyer requirement. My First Home Program This Texas down payment program offers a 30 year fixed rate loan with closing cost and Texas down payment assistance equal to 5 percent of loan amount (up to $8,000). This is designed for low income buyers who need additional assistance. First Texas can be combined with the MCC. 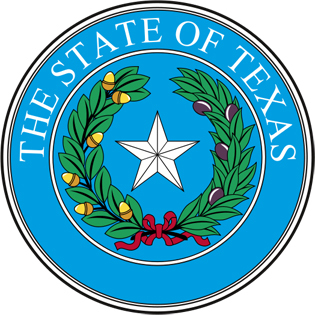 Texas housing agencies are your best resource for down payment assistance programs. Through funding from HUD, the purpose of these agencies is to ensure that affordable housing is available for everyone. This entry was posted in Texas and tagged down payment assistance, grants, housing authority, programs, texas. Bookmark the permalink.